Folding a premium hand in poker before or after the flop is not something that anybody likes to do. I bet you hate it, I know I sure do! But sometimes it is simply going to be necessary. And this is the kind of stuff that separates the amateurs from the pros. These hands will be among your biggest moneymakers at the poker table over the long run, but knowing when to fold these premium hands is also just as important. 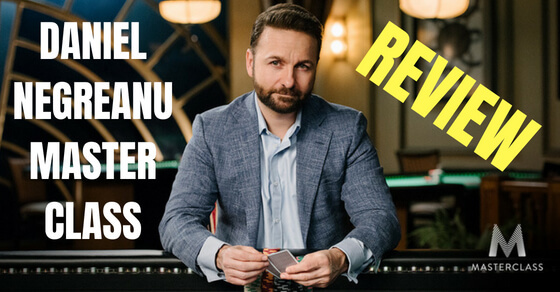 In this article I am going to lay out 5 key situations where you need to be folding a premium hand at the poker table. First off, what exactly is a Nit? 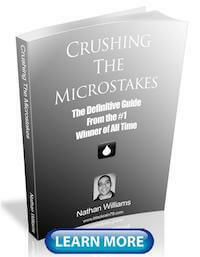 A Nit in poker is a term we use for a really tight and risk averse player. 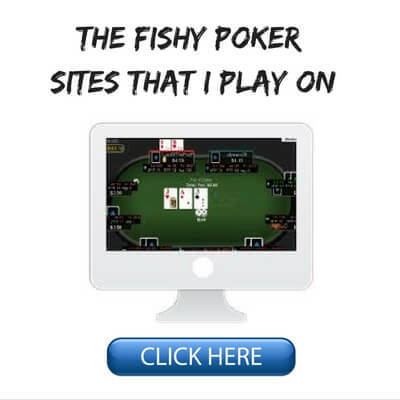 This is the kind of player that you will find frequently in low stakes poker games online or in your local casino these days. Typically these guys are playing a bunch of tables (in the case of online poker) and they are basically just waiting for the nuts. These HUD stats refer to VPIP, PFR and AF by the way. If you don’t know what these mean (or even what a HUD is), go check out this article of mine. These players will also typically have a WTSD% in the mid 20's or less. What all these HUD stats indicate is a very tight player who basically only gets aggressive with a really strong hand. And the main point here is that when you get into a raising war with one of these guys before the flop, they are almost never messing around. 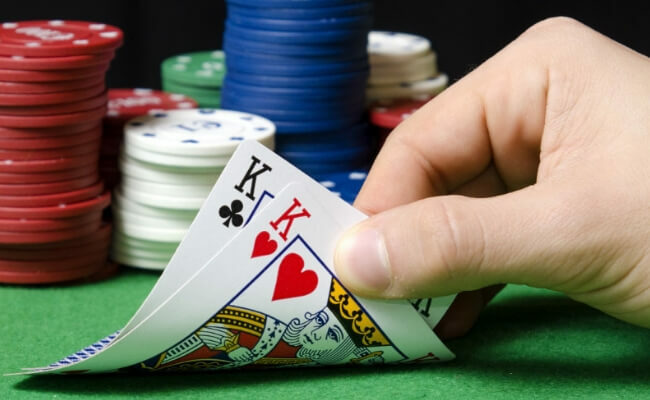 Poker players love to joke that "The 4Bet always means Aces." Well, with Nits it really often does mean AA! That or pocket kings. Therefore, I will routinely lay down hands like AK, QQ, JJ and TT versus these guys when they put in the 4Bet against me before the flop. I will be even more inclined to fold these premium hands versus a Nit who 4Bets me in a full ring game and/or when the action takes place from early position or middle position. And this is because ranges are extremely tight in these situations, regardless of player type. As you can probably guess by now, most of the situations where you should be folding a premium hand in poker are going to come against these tight risk averse players, the Nits. And this is because of what we already mentioned, they aren’t bluffing very often when they decide to commit large portions of their stack to the pot. Versus a wild loose maniac on the other hand, I am very rarely folding a premium hand. I just want that point to be extremely clear. The actions you take in poker are always heavily dependent on the player type you are up against. So when I have a hand like AK, TT or JJ and the Nit raises me here, I will often just make a tight lay down right then and there. With premium hands like QQ, KK or AA it gets a little bit more tricky because you now beat a few more hands. So I will often make the call here but I will be playing it very cautiously on the turn. A double barrel in poker is when you raise preflop, get called, bet the flop, get called again and then bet the turn as well. So this is why when I double barrel a Nit and he raises me on the turn all sorts of alarms bells are going to be going off in my head even if I have a premium hand! Why is this guy raising me? Remember that Nits are by definition risk averse players. This means that they do not like to put a lot of money into the pot unless the odds are heavily in their favor. And when you raise a double barrel this commits a significant portion of your stack, roughly around 50%. Does that sound like something that a highly cautious player likes to do with a bluff or even a draw? So once again, this is a spot where I will routinely fold a premium hand. Yes, even with QQ, KK and AA this time when they are over pairs to the board. And this is because I think there is a very good chance that I am way behind versus this particular player type. Nits can sometimes be messing around with a draw or over-valuing an over pair when they raise your flop CBet and that is why I mentioned before that I will often call with QQ, KK and AA. But when they raise your turn double barrel, that's a totally different story. That means they have a nut hand literally every single time and you really, really need to be folding all of your unimproved premium hands. Now folding a premium hand in a situation like this is still very hard. I am not going to lie. For example you have A♥A♠ and the board is 3♦5♠7♥T♦. You double barrel the turn and the Nit raises you. So this is why I always suggest using a program like PokerTracker to simply go check your database and see the actual evidence for yourself. Remember, your mind and your emotions will often try to trick you at the poker tables. But the cold hard data never lies! So go hop into PokerTracker and simply filter for all the times you called when your double barrel got raised. I absolutely guarantee that you are losing big time. Once the results come up, look at the actual numbers staring you right in the face and take a few moments to let that all those massive losses fully sink in. This is what it took for me to finally change my mind about these situations and start making the right play each time, which is to fold. Believe me, when the Nit raises your turn double barrel he is crushing your one pair hand every single time. Calling is simply lighting money on fire. Another situation where I will routinely fold a premium hand in poker is when I get raised on the river. And just to be crystal clear, throughout this article I am only talking about situations where you have an unimproved premium hand (i.e. your AA is still just one pair on the river). If you manage to improve to a set, flush or something like that with your premium hand then this changes absolutely everything. Now let’s also just assume that villain is a random opponent. In other words you have no information on him/her at all. So what's the correct play here? You guessed it. This is a spot where you need to be folding your pocket kings. We checked the turn because that 5♥ is a really bad card that completes a ton of draws. However, when he checks back the turn we then need to go for some value on the river because our hand is under-repped and there are a lot of worse hands that will call us such as QQ, Jx or 9x. However, when he then goes ahead and raises us on the river, this changes everything. Once again you can just load up PokerTracker and go see the huge losses for yourself. Filter for all the times when you bet the river, somebody raised you and you called. Look at all that money you threw down the drain! Here's the thing. Most poker players at the lower stakes in particular are very rarely bluffing when they raise the river. And by very rarely I mean almost never. Honestly, it's usually not even worth bothering to put them on a hand. Does it really even matter whether it's the set, the flush, the two pair or the straight that got you? Because all of these hands crush your lonely little pair of kings on the river. This is indeed another spot where you need to be folding your premium hand. The last situation where you need to strongly consider folding a premium hand is when you are super deep stacked. I am talking 200bb, 300bb or more. And if you play live poker or Zoom poker online, then you will know that deep stack situations like this happen frequently. In fact I reviewed a deep stack hand like this on my YouTube poker channel a week or two ago that generated a lot of intense debate. This hand was played 425bb deep online (which is crazy) and as you can see the villain in this hand was ultimately unable to get away from his hand. Now folding pocket AA in a situation like this is incredibly difficult and it is a massive, massive cooler. No matter how good you are, you are going to lose a lot here. But a smart poker player never loses 4+ stacks here with the 4th nuts versus another competent reg. That's just totally crazy. And I don’t think I even need to tell you how disastrous losing 425bb in a single hand is for your poker win rate. Or of course how good it is for your win rate to win 4+ stacks in one hand! So this is why I highly suggest playing deep stacked poker not only against the recreational players, but against the other regs like this as well who simply cannot fold a premium hand to save their life. 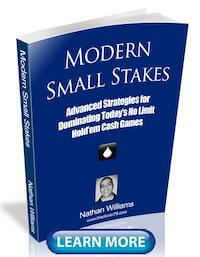 Very few people at the lower stakes understand how to play super deep stacked poker. And therefore, as this hand illustrates, it can be extremely profitable. So these are the 5 situations where you need to fold a premium hand in poker. And those are just the ones that I could think of off the top of my head. There are definitely many more. 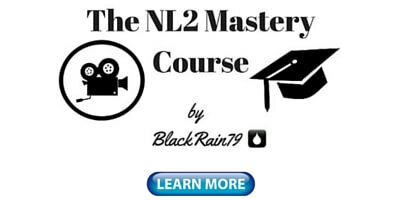 The truth is that every situation in poker is unique though and any action you take really depends on the player type you are up against, the board texture, the board runout, any history you have with this player, the stack sizes, the positions at the table, the action in the hand and so on. This is why there are so rarely any clear cut and dried answers for what to do in poker in all situations. Sometimes you need to make a tough fold with a premium hand. But sometimes you also need to just ram it down their throat and force them to show you a better hand! Being able to decipher which one is correct in each situation is the mark a great poker player. Hopefully this article gave you a few clues to look for. 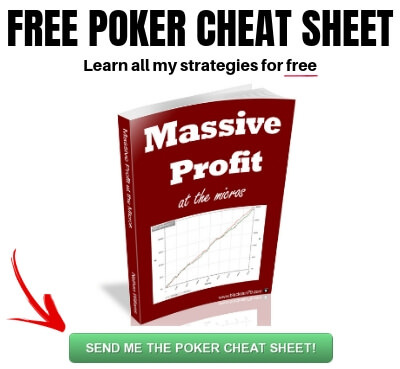 Lastly, make sure you grab a copy of my free poker cheat sheet to learn all of the strategies I use to crush the micros. 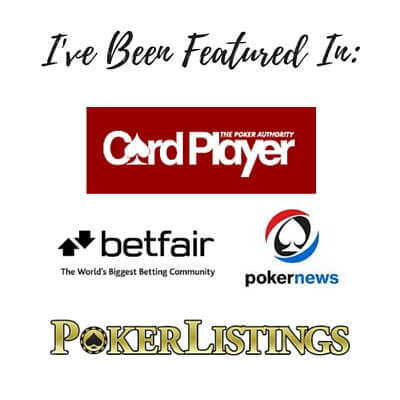 Let me know in the comments below when and if you fold a premium hand in poker. Is this something that you struggle with? Number 1 took me quite a while to learn. I used to default stack off AK 100 BB deep, because "LOL I block AA and KK". But if Villians entire range for 4-betting or 5-betting is AA and KK, then blocking these hands just mean, that you will be facing a 4-bet or 5-bet less often. Which make AK a great hand to 4-bet against nits as a bluff, but not to call their 4-bet or their 5-bet ship. Good points. I think there is a bit of a dangerous trend these days of putting too much importance on "blockers", especially in low limit games where ranges are often very well defined. Your AK scenario versus a really tight 4bet/5bet range is a perfect example of that. It's like everything else: the fish become attached to some concept they haven't heard of before and understand it in a superficial way. This costs them a lot more than they would normally have lost. I've had 'blockers' not block enough times for me to not pay as much attention to them as some pundits claim I should be. Especially in live games where the players tend to be more passive,this article is gold.Against a river raise,i may even fold top2 in a non flush board if there are some sets or straights possible in villains range.On a river flush only 5% of players may raise jam on you with the nut flush blocker and only when they know you are a thinking player.So just fold fold fold . Good points about live games Jimmy, glad you enjoyed this article! Hello Nathan! Very good article (like always). In one hand my opponent made bet ~60% of pot size on the river (NL5 6max). Board was X33XX. After his bet I moved all in on the river with air (bluffed). He thought approx. 40 seconds and folded. What do you think about this hand? Thanks glad this article helped! I do hand reviews on my private poker forum. You can feel free to post your hand there and I and others will help you out. Flopit or foldit unless very cheap. These stats are available on your HUD and the popup display. 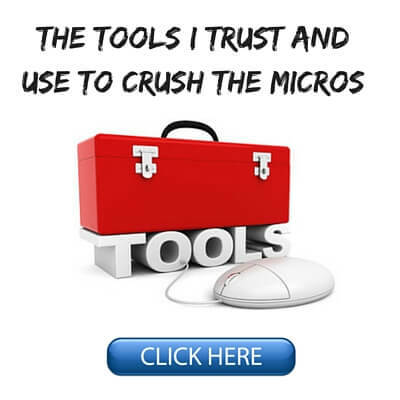 I review hands on my private forum. There is a whole section in there dedicated to it. so I need to buy one of your products to enter there, right? Yes, I give my paying customers priority attention because they are the ones who support my ability to keep writing these free blogs and making free youtube videos every week. Good article. I think the main lesson is not to get obsessed with your premium hand post-flop, remembering that AA gets cracked about 85% of the time and KK a little more than that. Particularly if you're up against a calling station who suddenly pops you on the river, you have to know either that (a) he's suddenly develop a talent for the big bluff, or (b) he has a hand that beats any pair. As a rule, on the principle that one should live to fight another day, it's worth folding to a bluff to avoid stacking off in a showdown you knew you were probably going to lose anyway. Its the other way around. AA win around 85% of the time. But its still important to cut our losses those rare 15% of the time, where AA does get outdrawn (by a single opponent). Thanks Morgan and that is exactly right. AA and KK are just one pair and they can and will lose sometimes. It's important to always remember that. Not true. Doug Polk said in one of his streams "variation can make you lose for your whole life. It probably wont happen but its possible." Ive been playing nl10 for 4 months (150k hands in total) and been loosing money with all of the premium hands listed above. I definetely learnt more than just basics but when variation has you chosen, there is nothing you can do even in the long run. Took antoher look in my HM2, 4 months in a row with AA,KK,QQ and AK always with negative numbers. So, if, as Doug Polk said you one of the chosen ones, you are better off quitting. Its extremely unlikely to lose with AA or other premium hands over a 150k sample, unless you have massive issues in your game. It is extremely unlikely. But thats what happens. I play decent poker. I have good results in my local casino. I spend a lot of time away from the tables studying and improving my game. But variation can be more extreme than most people imagine. As i mentioned before, even Doug Polk once said that variation can make you lose while playing well for your entire life. And now back to reality. My observed winrate with QQ is 350 BB/100. If you plug that number into a poker variance calculator and choose a standard variation of 100, which is an average of 6-max and full ring NLH, you will see, that I am never losing with QQ after around 50 hands. Since we are dealth QQ approximately every 200 hands, this is a total of 10.000 hands played. If you are losing with QQ after 150.000 hands, its not due to variance. Its due to bad play and frankly very bad play, since QQ should be a huge winner. Of course for KK and AA winnings should show up even faster. Key words here:standard variation. Ok, I know Im the guy telling his bad beat stories here so I will just stick to playing live, i dont stand a chance online. End of the story, good luck everybody. Thanks Thomas! I doubt Doug Polk is posting in the comment section for my blog haha but if he is, what's up man, big fan! @ Lars If you look at the stats for one particular hand (particularly a premium hand), the standard deviation will be much higher than your overall/average Std.Dev, because you're obviously VPIPing almost always and are playing for stacks pretty often, which means your bankroll has much greater swings in 100 hands of AA/KK/QQ specifically than the ATC you're dealt at random (and mostly fold). FWIW, my Std Deviation with KK, for example, is 338bb/100, and I've had a couple of "downswing" sequences with kings where I lost money for 90 hands, despite having an EV of over 500bb/100. That said, over a 100,000 hand sample, you're getting dealt each of QQ+ about 500 times, and literally no one loses money with QQ+ in that kind of sample. It's just impossible unless you were a malfunctioning bot that folds every river.